I've mentioned that Maggie enjoys helping us cook. 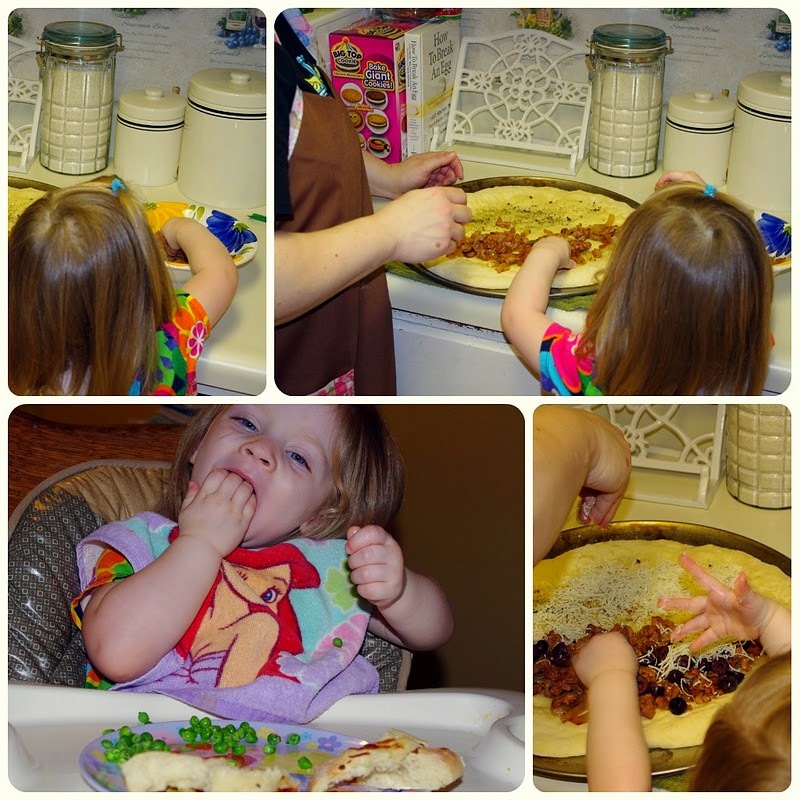 Today, we decided to have homemade pizza for lunch, so she helped Daddy cook his sausage and onions, and later helped me load the pizza up for baking. It can be challenging for me because I tend to want to just get it all done and out of the kitchen as quickly as possible (cooking isn't my favorite thing to do), but I'm learning to be more patient because Maggie wants so much to be a part of it all.